A Part Time Motor Trade Insurance policy could be arranged for either a part time business owner or a part time employee who works within the motor trade industry. It does not matter if that person works for just a couple of days a week or on a weekend to provide themselves with some additional income. Cover could be arranged whether the person is operating either in vehicle sales, servicing, repairs, restoration, MOTs, car valeting, tyre and exhaust fitting and many more occupations. However a part time motor trader is often ignored by many insurers when it comes to arranging Part Time Motor Trade Insurance because they are perceived to be a greater risk than a full time motor trader. This is because, as they are not doing the work as frequently as a full time motor trader, they may become a little rusty and careless. With Part Time Motor Trade Insurance some insurers have an optional extra that allows you to include Additional Business Use (ABU) to cover you whilst undertaking another occupation say as a builder or electrician. Obviously if that option were required the premium would increase. 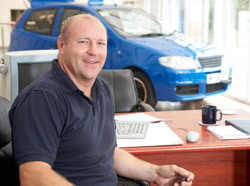 Some insurance companies and brokers now insist that you need to prove that you are operating as a part time or even a full time motor trader because it is not unheard of to find that some members of the public have taken out motor trade insurance rather than a conventional motor insurance policy to cover their personal vehicle and have no connection whatsoever with the motor trade. So, how do you prove that you are operating as a motor trader? If you sell cars then copies of invoices relating to the purchase or sale of vehicles, if you are a mechanic perhaps copies of receipts for car parts and if you valet cars then receipts for say cloths and shampoo. Insurance companies are not unknown to make spot checks. As far as obtaining quotes for this type of insurance, there are a range of options open to you such as contacting your existing broker, contacting the insurance companies yourself to ask if they provide Part Time Motor Trade Insurance or via the Internet from the comfort of your home or office. We all lead such busy lives so the later option is possibly the quickest way of getting a quote(s) and full information about what the policy covers and what it does not cover. Well, here at motor-trade-insurance.co.uk, we are pleased to inform you that through our partner quotations could be provided for this specialist type of cover no matter where your business is located in the UK. All you need to do initially is complete the quote form on this website and quotations should quickly follow.